Thanks for stopping by! The top navigation bar will guide you to pages that highlight my work. Take a look around and let me know if you have any comments or questions. 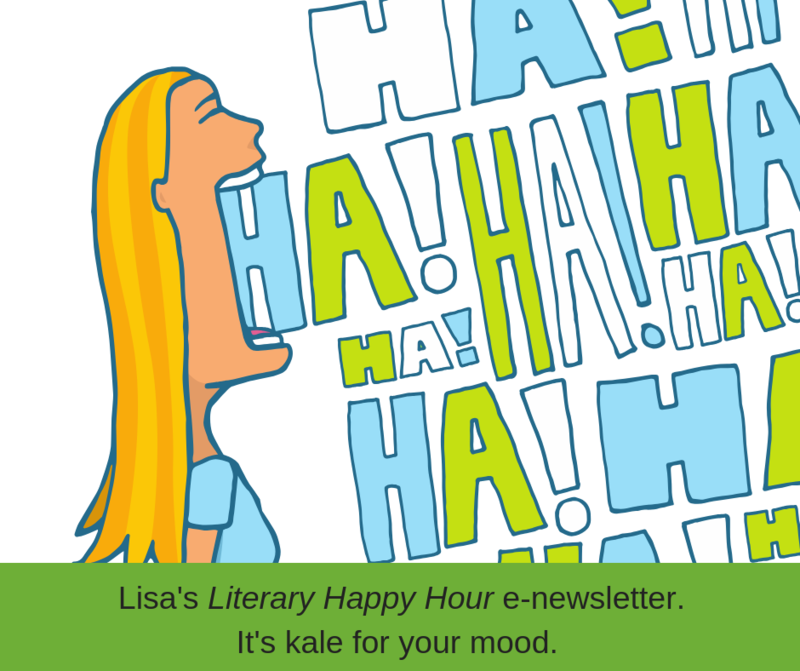 I’d love it if you followed my Facebook Author Page, where I write and curate posts about humor, mystery, writing, and books. Find and “like” my page here. One the Home Page: I’m highlighting my current writing obsession and focus, my first collection of crime fiction books. 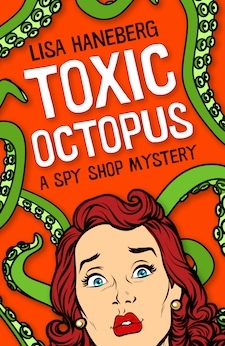 The Spy Shop Mysteries are fun adventures featuring spy shop owner and private investigator Xena Cali and her team, Sparky and Dora. Satire, humor, and natural history elements fuel each book’s swift pace. These capers are a tad more edgy than cozy. Spy gadgets galore – often oddball ones – might save the day! Scroll down to see available books, learn about the setting I’ve chosen for the series, get to know Xena, and more. If you like reading novels by Carl Hiaasen, Dave Barry, Elmore Leonard, John Burdett or Tim Dorsey, I think you’ll enjoy this series. Download available. 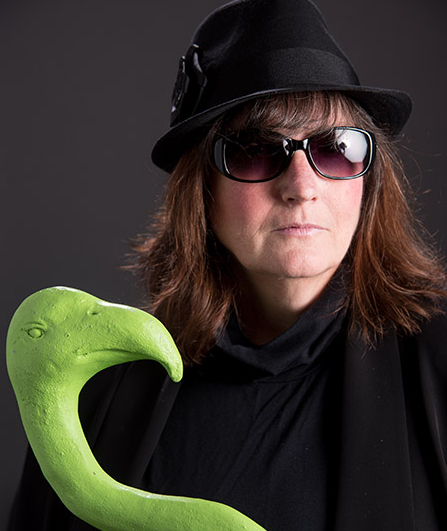 Once a successful HR executive who plummeted off the corporate ladder, Xena Cali relocates to Galveston Island, Texas, and opens the Paradise Lost Spy Shop and a private investigation practice in the gritty Strand Historical District. Xena uncovers and must overcome several challenges related the store’s former “residents.” At the same time, business owners are on edge about of a string of recent burglaries. A rag-tag crime watch group makes solving the case harder and weirder. Now available! Book #1 in the series. 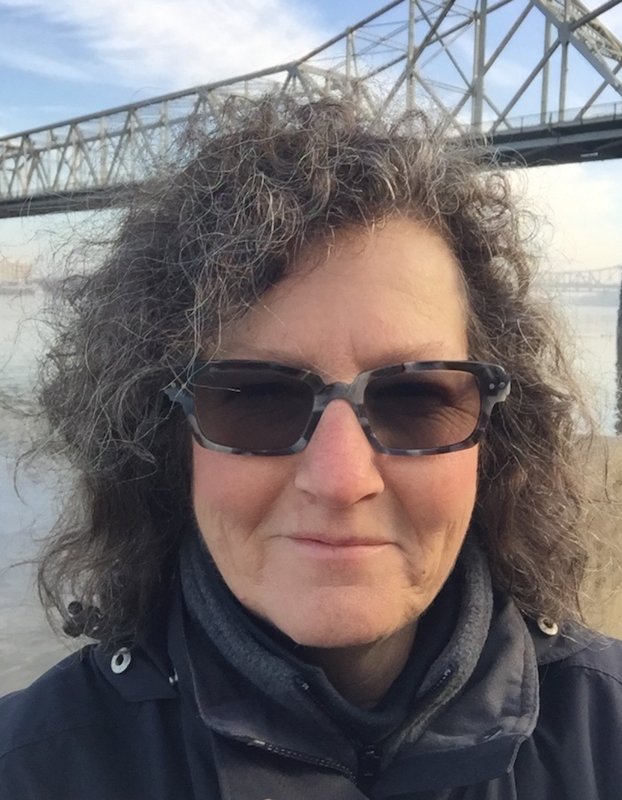 Xena’s latest case has her headed to the Biological and Aquatic Research Labs (BARL) where a popular marine biologist was found dead in a large tank with an octopus named Fred wrapped around her body. The police think Fred did it, but the victim’s manager knows he’s innocent and has hired Xena to find the killer before Fred is euthanized in two weeks. Buy now from Amazon… Kobo… Apple, Nook, 24 Symbols… and B&N. Coming JULY 2019! Book #2 in the series. Honeymooners hoping to find a quiet spot for a romantic picnic instead discover the dead body of a bird-watching guide. The murder rattles the local birding association as they prepare for the yearly influx of Sandhill Cranes and the wanna-be ornithologists who flock to the island to watch them. 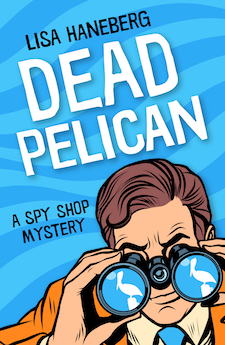 With the “Pelican Man” as their sidekick, Xena and her team explore the dark side of birding and the tenuous relationship between commerce and nature to solve the case. 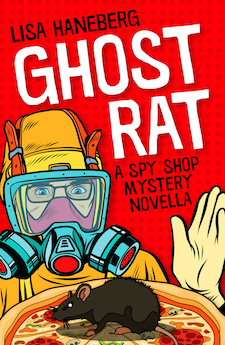 Ghost Rat, A Spy Shop Mystery novella, in e-book form (easy download into your choice of e-readers). AND a detailed description of the glorious incident that changed everything (the catalytic event that triggered Xena Cali to become a PI and spy shop owner) in a downloadable PDF. Originally published in Toxic Octopus, Chapter 3. Periodic invitations to become a member of my Advanced Reader Team. 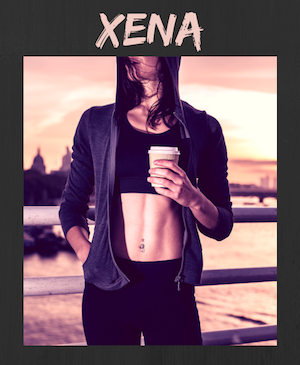 Xena Cali is a crime fighter with lots of flair and flaws. She grew up in Cincinnati, Ohio and then earned a degree in employment law from Georgetown University in Washington, D.C. Xena passed the Bar Exam and interned in a couple of law firms but decided to instead work inside large organizations as a human resources (HR) profession. Because that’s where the action is! Xena enjoyed career success and was frequently promoted to recruited to take bigger jobs. By the time she landed the top HR investigations job – Senior Vice President – at Granny’s Home, Inc. in Houston, Texas, she’d earned a reputation for getting results, albeit sometimes using unconventional, though always legal, approaches. She left human resources after a successful but career-ending sting operation she called the glorious incident that changed everything. With a sizable severance and a good mentor, Xena opened a spy shop and private investigations firm on Galveston Island (passed the Qualified Manager Exam, of course). Xena LOVES poetic justice and will do nearly anything to get it. Like interrogating an octopus or wearing a bear suit to a cocktail party/sting operation. Was a star gymnast, like her mother, but then fell in love with Parkour, the art of efficient movement. Drinks double cortados in the morning and scotch in the evening. Her rates: $350 per hour ($200 per hour for team members). 25% discount for nonprofits. Never married, but was engaged to a Houston-based artist. She called it off. Tattoos: Chinese dragon, Red Fire Monkey, Celtic spiral, octopus, and green rabbit. 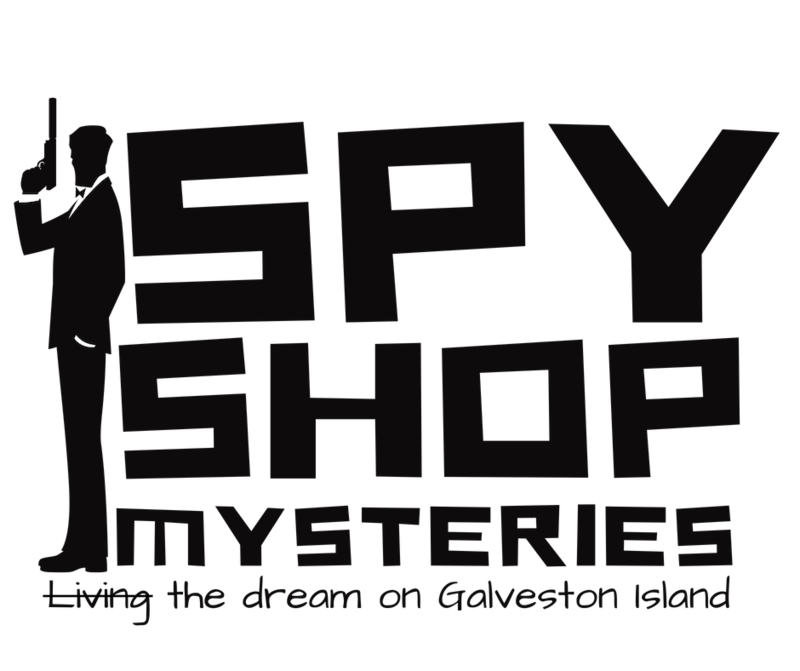 THE SPY SHOP MYSTERIES: WHY GALVESTON? 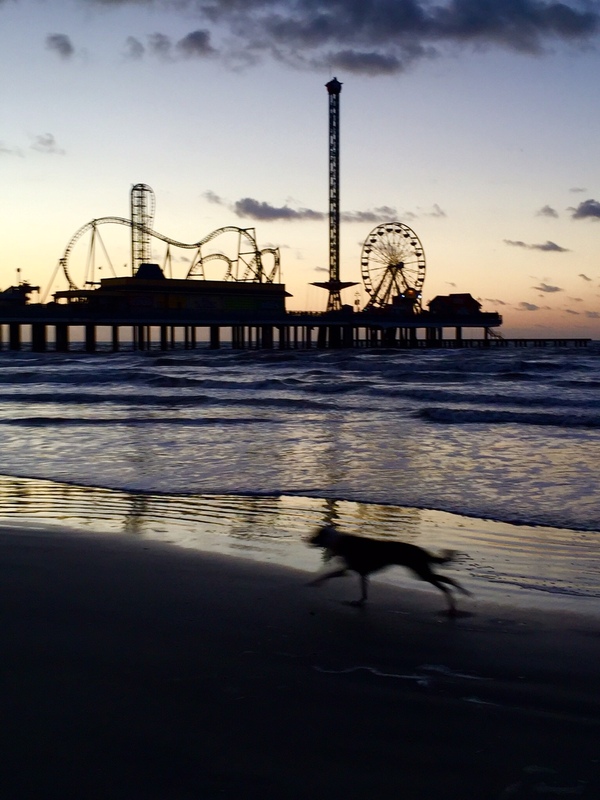 The Spy Shop Mystery series is set around Galveston Island, Texas. Have you been? If not, plan a visit. I love the island, not in spite of, but because of its quirks and imperfections and I think you will, too. Today’s Galveston is influenced by its pirate roots – a pirate first discovered Galveston and built a huge pirate city called Campeche. And its mob roots – the mob helped build Galveston into a go-to destination for those looking for a place where rules were malleable. And its immigration roots – the port of Galveston was known as the Ellis Island of the South. And now it is being influenced by artists and cruise ships and high-end chefs who have flocked to the island. Speaking of flocks, the birding community is strong because Galveston is a great place for bird watching (on the migration path). I invite you to “Like” my Facebook Author Page, where I curate humor and satire, recommend great mysteries, and share updates about my writing. Lisa Haneberg shared a post. I basically grew up in Florida (born in Canada). Characters abound! In fact, my dad was an awesome character and occasionally the talk of the small town we lived in. On another note ... bunnies can be creepy! Dave and Chuck "the Freak"
Lisa Haneberg shared a photo.